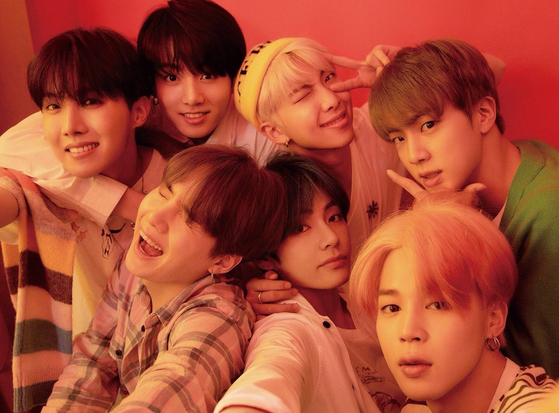 According to the Hanteo chart, a Korean chart service which shows the record of album sales, the total sale of BTS's new album Map of the Soul: Persona just reached 2 million copies. Cho-dong means the first week after the album has been released and it is used as one of the indicators to predict how strong a fandom is for each artist. 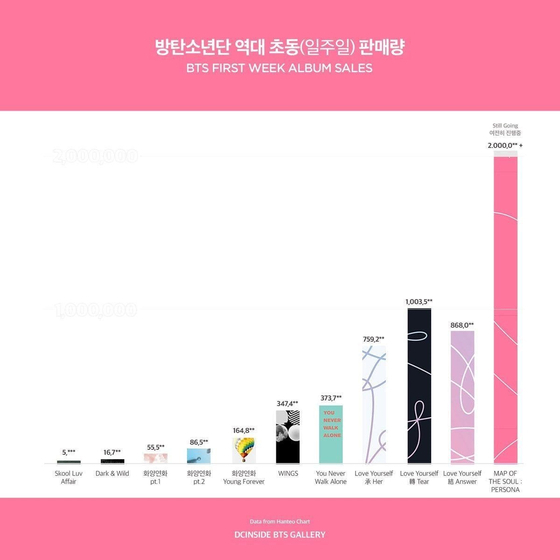 This is not only a new record for BTS but also a new record for the entire K-pop history. The No.1 'Cho-dong' record had been set by BTS's Love Yourself: Tear which was sold just over 1 million copies. Now their sales have doubled in just one year. There is still some time left until the 'Cho-dong' ends, and fans are excited to find out how much albums will be sold in total. 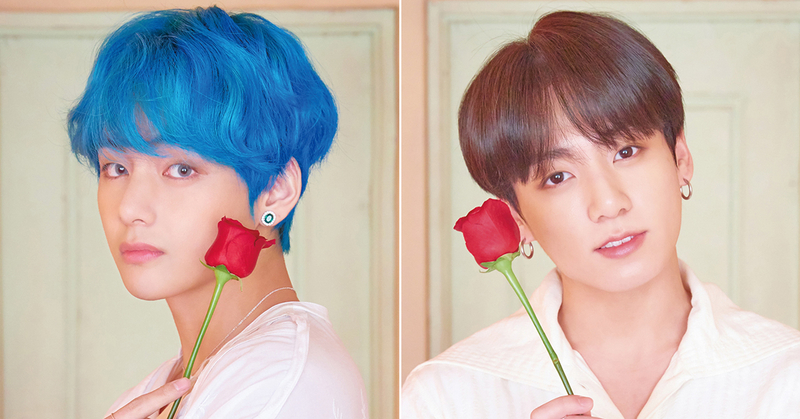 Meanwhile, Armys are celebrating their unprecedented record via social media, arranging various events such as retweet giveaways and hashtag events.